I just tip-toed away from Liam's crib. After rocking him fast asleep and humming some ridiculous off-key tune to him, I was able to put him in his crib for the night. Someone hand me a towel so that I can wipe the sweat from my forehead. It's been that kind of day. For the last six months, I have been getting little to no sleep thanks to my second-time around at motherhood. Then, mysteriously, Liam started sleeping through the night in five, sometimes six, hour stretches. I was beyond wowed. Now, I am doing everything in my power to make sure this is not some phase that he is going through and that this miraculous milestone will be around for the years to come. Starting with my choice in diapers. Liam's pediatrician has always told me that it was not necessary to change his diaper if he should happen to wake up for a feeding. Not only does it cut back on diaper usage, it also limits the amount of disruption to a baby's sleep. I took his advice and was pleasantly surprised to discover completely dry bedding in his crib after sleeping for so many hours with the same diaper on. 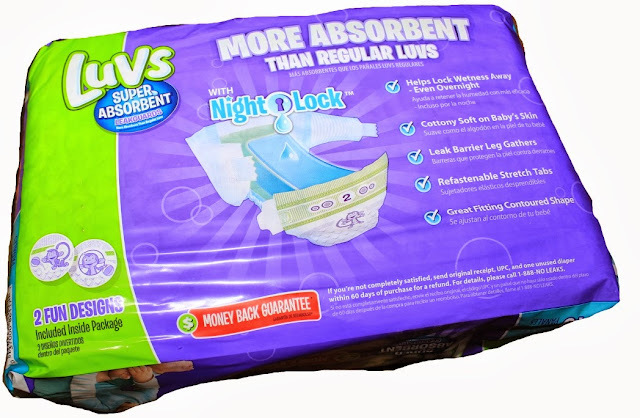 Thanks to the LUVS Super Absorbent products, I have confidence that Liam will have a good night's sleep, and so will I. 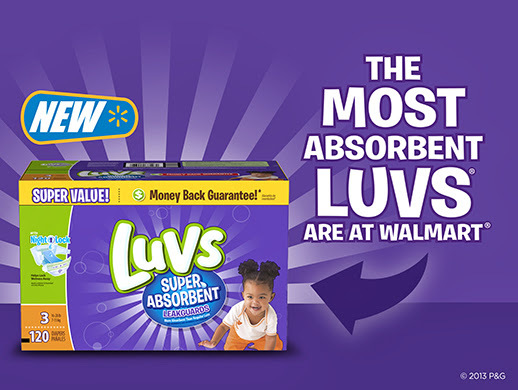 Now, at Walmart locations, a BLUE seal is stamped on packages of LUVS to give bring attention to the brand's most SUPER ABSORBENT diapers. This takes all of the guessing work out of finding the the product that will protect your baby the most. So, when you're heading down the baby aisle looking for a diaper, THE CLUE IS IN THE BLUE. These specially marked packages of LUVS contain diapers that are 15% more absorbent than other LUVS. Liam may not know the excitement behind the diapers is wearing, but Mom sure can appreciate them. I like the fact that LUVS work and they are affordable. On Walmart.com, they are running at about $6.97 per bag (amounts vary depending on the size).The sizes range from Newborn to Size 6. The benefits are great, too. 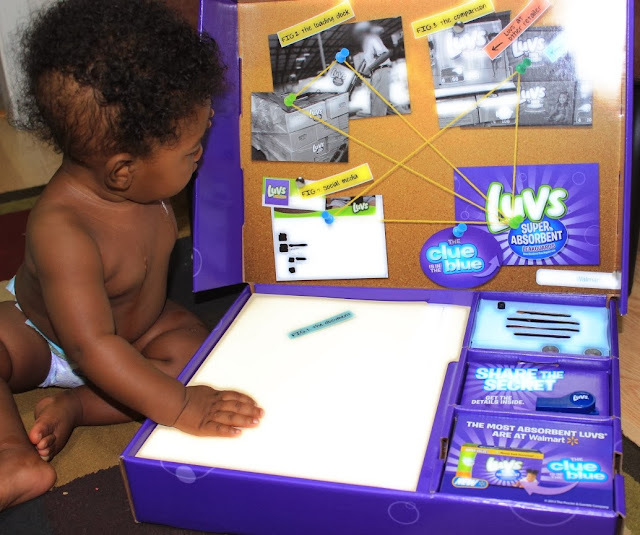 When it comes to choosing products to use on baby, it all boils down to what works well for your family. 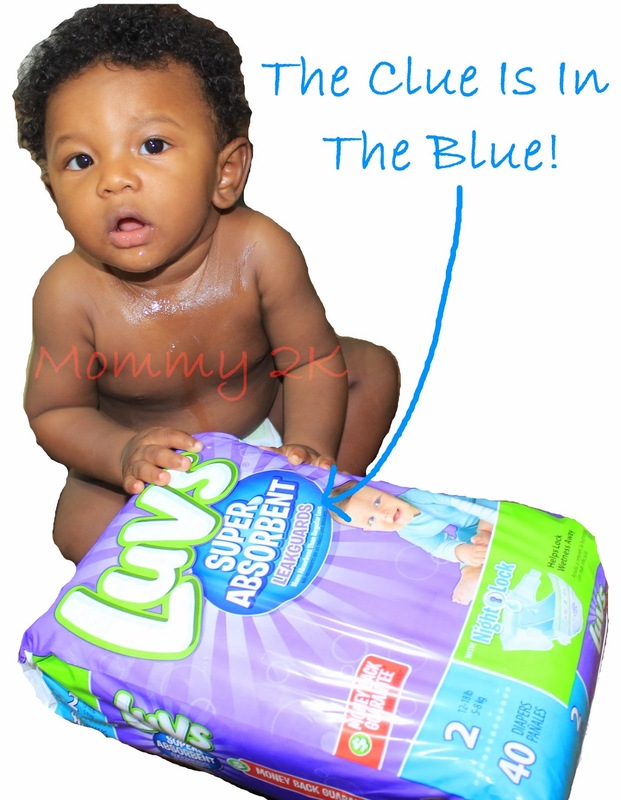 Right now, LUVS Super Absorbent diapers fit perfectly into our life. I am able to put Liam to bed knowing that he can sleep for hours without requiring a diaper change if he happens to pee. 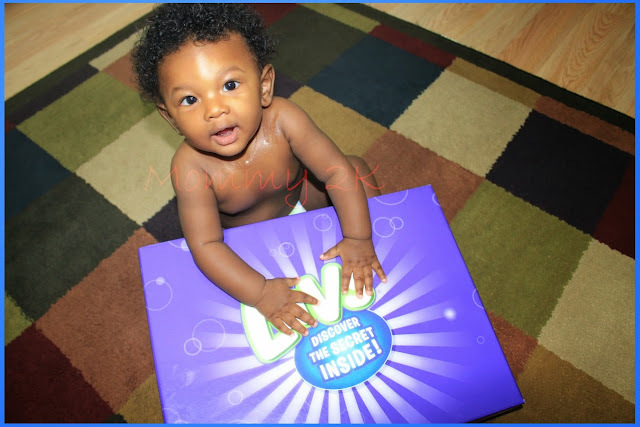 The next time you go shopping for diapers, consider purchasing a box of LUVS. And remember, THE CLUE IS IN THE BLUE. 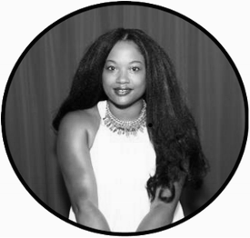 This is a sponsored post for SheSpeaks and Luvs. I was provided product to facilitate my review and payment to compensate my time. The opinion and views are my own.